Not keen to be kept in the dark? You can play a bigger part in the surprise! All you have to do is choose a product from our personal favourites here and simply leave the delivery to us. Made from an amazing blend of ESSENTIAL OILS, romance your senses in the company of ‘Anticipation’, begin your day with a light orange, sage and lemongrass scent with woody undertones to start the day afresh. ‘Reflection’, a minty eucalyptus, spearmint and ylang ylang scent to end the day and unwind your mind in the evening. 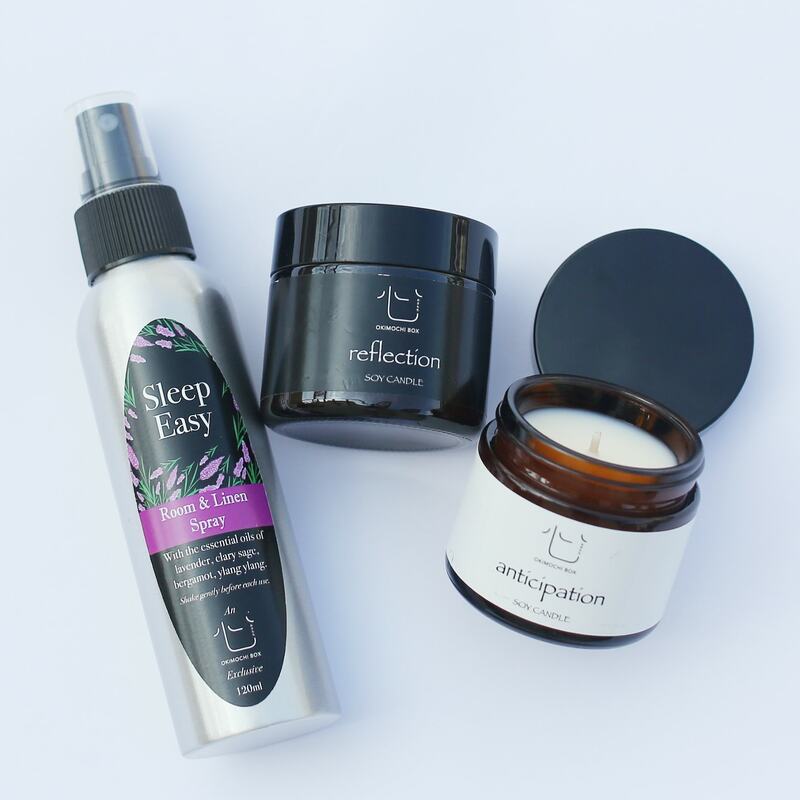 We pair these candles with ‘Sleep Easy’, a room and linen spray made with essential oil blends of lavender, clary, sage, bergamot and ylang ylang, that will set you in the mood for a restful sleep. Note: Each candle has a cotton wick and burns for 12 hours. Carry your essentials on-the-go with this stylish handcrafted leather cardholder that’s made for the modern executive. Featuring four separate slots for cards and bills, and available in green, brown and blue, it’s the only thing you need on your quick runs. For an added personal touch, customise your name to make it truly yours. 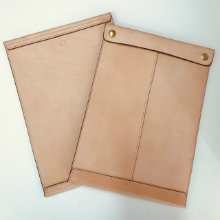 Note: Shade and grain of leather may vary slightly with different batches of hide used. The products are made with full grain Italian vegetable tanned leather. Warm Mum’s heart with an elegantly hand-stitched key holder that’s made from full grain Italian tanned cow leather. 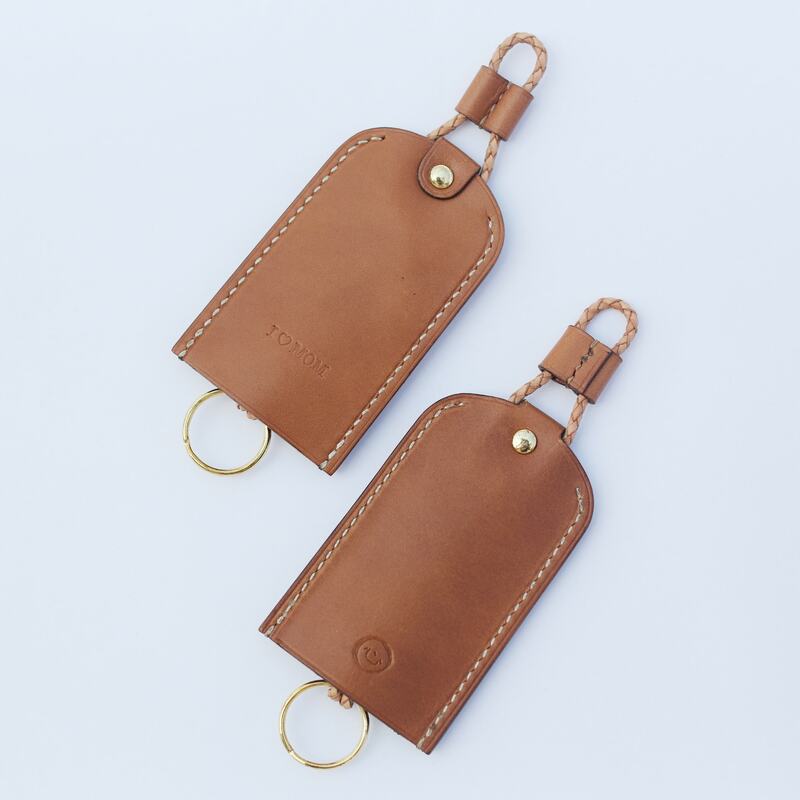 Each brown leather key holder has been stylishly embossed with an “I (HEART) MOM’ and is designed with a simple weaved string that allows her to tuck her keys neatly away from plain sight. An Okimochi curator’s all-time favourite. Made for the minimalist in mind, keep your bills neat with this chic money clip wallet. 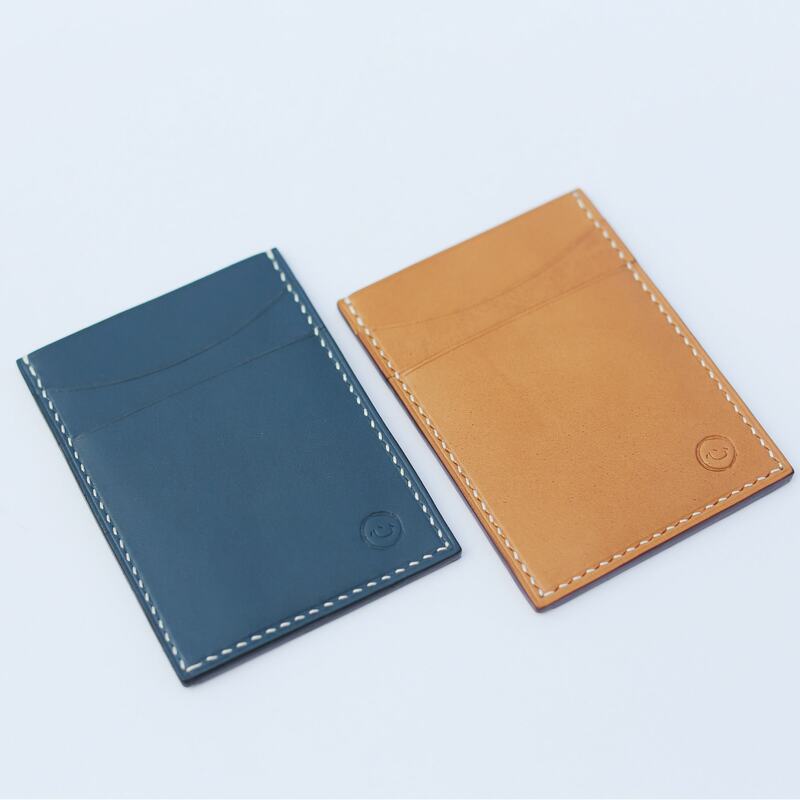 Featuring three separate slots and a gold money clip, the wallets are available in blue and wine genuine leather. Keep your iPad and work essentials safe from the elements with this naturally-coloured full grain vegetable tanned cow leather. Adorned with gold snap buttons on its vertical, the minimalist clutch is a necessary companion for the stylish modern executive. Alternative variant with 2 card slots are available in limited quantities. Travel the world with a stylish companion that sets your luggage apart. 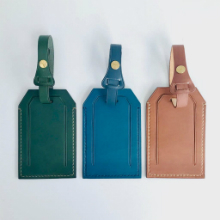 Made from genuine Italian leather and hand-stitched to perfection, the luggage tags are available in green, brown and blue. Make it uniquely yours by engraving your name. 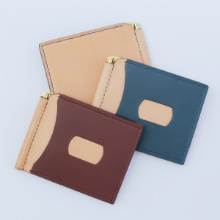 Travel in style with this minimalist passport holder as you make your mark in the world. 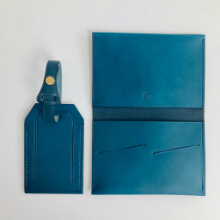 Made from genuine Italian leather and featuring two card slots for those small travel essentials, pair it with the luggage tag for a complete stylish set. Available in blue and in limited quantities, grab one before it’s gone. Make a lasting impression with a romantic gesture that is bound to set hearts aflutter. A novelty gift like no other, each intricately hand-folded rose is made up of four bills, with a total of five roses in each bouquet. 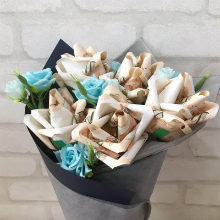 Finally, a flower bouquet that lasts forever! *Note: Price is for the workmanship and exclude the number of bills used. Curator will contact you once order received to confirm the number of bills. Pop some auspicious red wine to celebrate a joyous occasion. 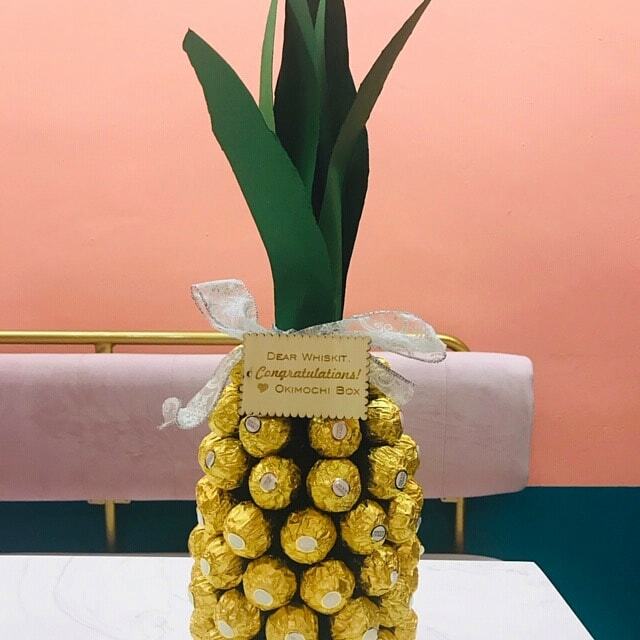 Handcrafted personally by Okimochi curators, each bottle of wine is adorned with golden nuggets of Ferrero Rocher to create a ‘pineapple’, a symbol of good luck and wealth for the Chinese. Engraving on a plywood tag will be provided for your message to the recipient. Ideal novelty gift for housewarming, Chinese new year or new shop opening. *Note: 40 Ferrero Rocher will be used. 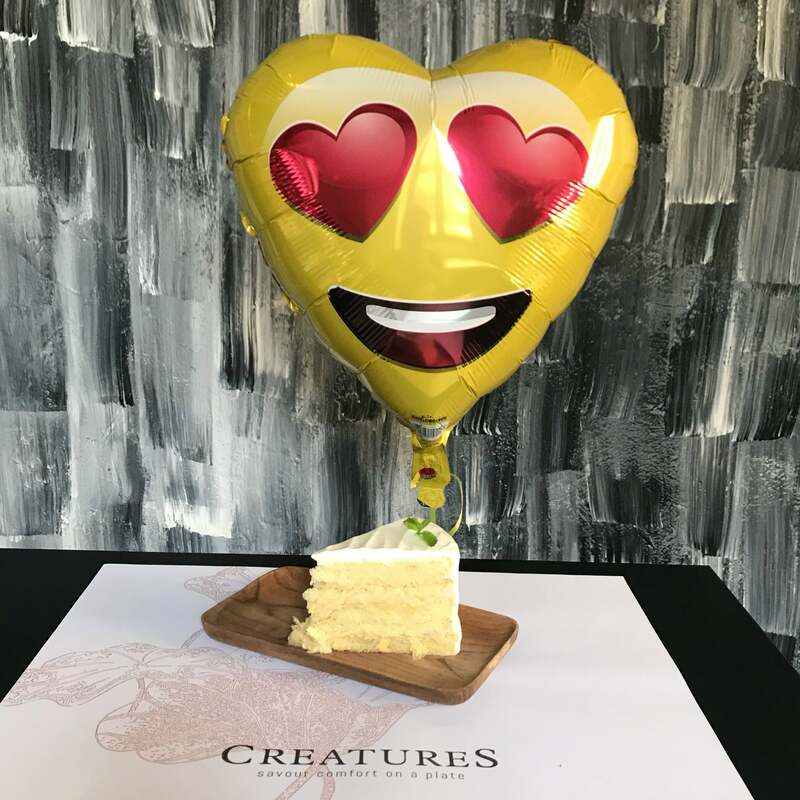 CreatureS Signature Durian Cake | pure Mao Shan Wang durian layered between fluffy feather-light genoise sponges, enveloped in a wintry white French Chantilly cream. We pair this with a balloon based on your occasion, a handwritten message card and delivery service. * There will be no wrapping of the cake box.